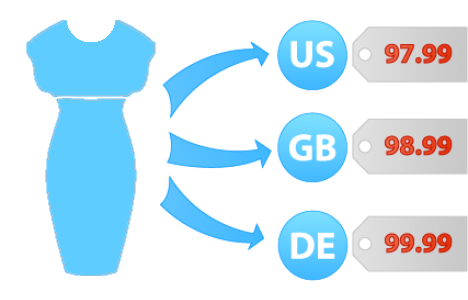 CS-Cart "Price by Country" modification makes it possible to set different product prices depending on the visitor's location. For example, customers from Canada will see the price $20 for the product and the customers from USA will see the price $15 for the same product. It is some kind of zone pricing. We are ready to provide you with this modification for CS-Cart v.4. for USD 500. If you need this modification for the older CS-Cart versions, please, contact us. If you want to buy "Price by Country" modification for CS-Cart v.4. please contact us.